Go big and go home. As the largest LVT plank on the market, COREtec Plus XL is in a category by itself. Rigid plank technology means handling and installation is no big deal, which makes COREtec Plus XL a smart alternative to glue down LVT, solid locking LVT, or laminate flooring. COREtec Plus XL features our innovative and patented COREtec core structure, which is an extruded core made from an exclusive mix of recycled wood and bamboo dust, limestone, and virgin PVC. This makes COREtec Plus products 100% waterproof, so they can be installed in wet areas and will never warp of swell when exposed to water. COREtec Plus XL is inert and dimensionally stable, which means it won’t change size due to heat or humidity under normal conditions and never needs expansion strips in large rooms. An attached cork underlayment results in a quieter, warmer vinyl floor that is naturally resistant to odor causing mold and mildew. COREtec Plus XL is also GREENGUARD GOLD Certified for Indoor Air Quality. Welcome to the Answer Bar, where you can find answers to your pressing questions (about flooring, not the meaning of life etc.). We’ve grouped our FAQs into handy categories for your convenience. And naturally, you’re welcome to contact us directly if there’s something you want to know that we haven’t covered here. (Again, try to keep it flooring related.) Thanks for stopping by. What does "Product Only" mean? Pricing does not include consultation, measure, installation, trims and transitions, removal of old floor or packaging. Pricing includes the product planks or tiles, freight and delivery only. Where can I buy COREtec? We’re proud of our nationwide network of specialty flooring retailers. Click here to find a retailer near you. Can I find COREtec in “big box” stores? Not at this time. We prefer the full service and expert advice available through our network of specialty retailers. How many boxes should I buy? That depends on which COREtec product you choose. Just click here to open our handy Quantity Calculator. The perfect solution to an imperfect world. Whether it's flooring, wallpaper or paint, it’s always better to have more than you need instead of needing more than you have. We recommend buying 10% more than your square footage demands to guard against installation errors or other unforeseen circumstances. Just click the Wiggle Room box on our Quantity Calculator and leave the math to us. How many samples may I order? As you browse your favorite styles, you can add up to 3 samples (8” cuts) to your cart for free, shipping included. How soon can I get my samples? Your sample kit will be sent for free, and you should expect delivery in 2 - 4 days depending on where you live. Can I install my COREtec floor myself? Yes. 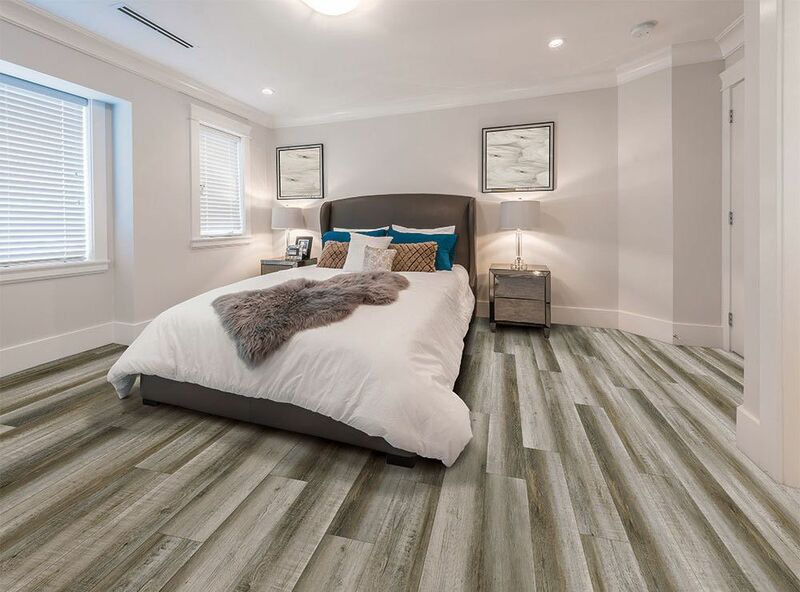 Our rigid planks and tiles allow for “Floating Installation” over many existing floors, and the Angle-Tap installation is suitable for the average DIY installer. Click here for installation instructions. Do I have to install my COREtec floor myself? Of course not. Your local COREtec retailer will be happy to provide professional installation services. And our Angle-Tap, floating installation will keep installation costs lower than many other types of flooring. What tools will I need to install COREtec floors? The necessities are a hammer, tapping block and a pull bar. We highly recommend using ¼ inch spacers and a crosscut power saw with a blade suitable for plastics. Other basics to have on hand include a pencil, chalk line, tape measure and 3M Scotch Blue™ 2080 Tape. Where can COREtec floors be installed? 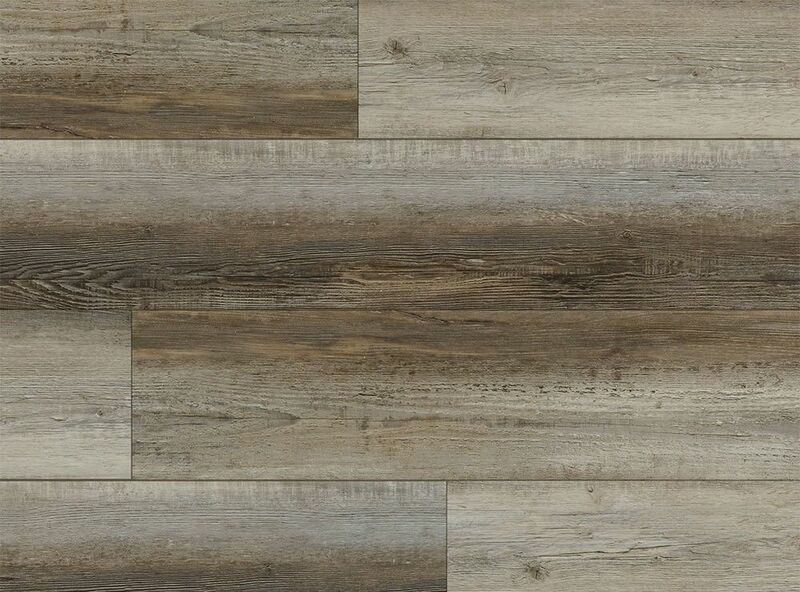 Our 100% waterproof planks and tiles can be installed in any room of your home, from basement to top floor. COREtec is an interior product and must be stored/installed in a temperature-controlled interior environment, maintained between 55 and 85 degrees F (13°- 29°C). Can COREtec floors be installed over radiant heat? Yes. Please see the installation manual for detailed instructions and considerations. Can I install COREtec floors outdoors? No. Well, technically you could. But you could also cover your deck in suede. Installing COREtec outdoors will negate any product warranty. Do I need to leave expansion space? It’s a good idea. While COREtec is a very dimensionally stable product (it doesn't expand or contract) the same can't be said for your home's walls or any adjacent hardwood floors. That’s why we recommend leaving ¼ inch space next to walls and adjoining hardwood floors. When the last piece is installed, what's next? First of all, sweep, dust mop or vacuum the floor to remove all loose dirt and grit. Then lightly damp mop with well wrung mop. Always use plywood or heavy cardboard when moving furniture or other heavy objects across the floor. How do I clean my COREtec floor? Simply sweep or run a dry dust mop over it to get up the dirt, dust and grit. Avoid treated dust mops as they may leave a residue behind which can dull your floor over time. For a more thorough clean, you'll want a ph neutral cleaner, so nothing with a floor polish or detergent in it. We recommend Encore Care for Luxury Vinyl Flooring. Follow label instructions. Always pre-vacuum or dust mop before any type of wet cleaning. Do not use vacuums with rotating beater bars on hard surfaces. Stay away from steam mops, as the heat can cause the vinyl layer to curl up and peel off. Avoid using mop and shine products. How do I remove spots & spills? As with any flooring surface, you’ll want to absorb wet spills as quickly as possible by blotting with paper or cloth towels. Rinse with water if necessary and blot dry. Dried spots should be removed by gentle agitation and rinsed with water. Blot dry. For stubborn spots that water or Encore Care for Luxury Vinyl Flooring don’t remove, use simple rubbing alcohol (isopropyl alcohol) with a clean white cloth. Do not use detergents or abrasive cleaners since these products can leave a dull residue. How do I keep my COREtec floor looking good? The single greatest cause of damage to any flooring or floor finish is abrasion from dirt and grit. Wherever possible, use walk off mats at entrances and doorways. If mats are placed directly on COREtec floors, use mats without latex or rubber backings to avoid possible discoloration. Use non-staining floor protectors under heavy furniture, chairs, and tables. Use appropriate window coverings, as direct sunlight may fade the color of the flooring over time. Will my COREtec floor need polishing? Maybe. Over time floors may begin to lose their luster and may require an application of floor polish. If and when you apply floor polish will depend on the traffic the floor receives. A good quality floor polish like "Hilway Direct" can provide up to a year of protection in a high traffic area. Thoroughly clean your floor, then apply 2 to 3 coats of polish following label directions and allow floor to dry overnight before heavy traffic use. Talk to a friendly flooring expert today. Our specialized knowledge rarely helps us at trivia night, but it can come in really handy when trying to find the perfect floor for you and your home. We’re happy to answer your call between 8 AM and 6 PM Eastern Time. No telepathic abilities required (or encouraged). Just fill in the blanks below and let technology complete the connection between us. Thank you for your submission we will be in touch shortly!